The March 2019 Gourmet Traveller spread “Pick Up Sticks” features fresh and brightly coloured skewer recipes from Lisa Featherby. 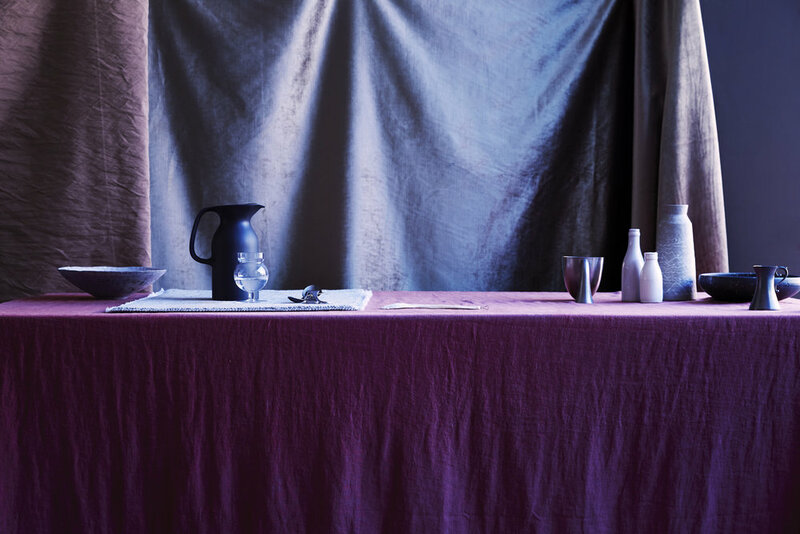 With the food prepared by Peta Dent, photography by Ben Dearnley and styling by Studio Delmar the finished article pops with intensity and flavour. A background of jet black and charcoaled timber sets the scene with layers of hand formed plates and bowls as the foods prop. Dark plateware blends into the background and creates a striking splash of colour through the turmeric yellows and bright green leaves of the Asian inspired recipes. Where the food isn’t as vibrant slabs of turquoise stone, natural terracotta or bold glazes, alongside props of coloured linen, add to the overall look and feel the article inspires. 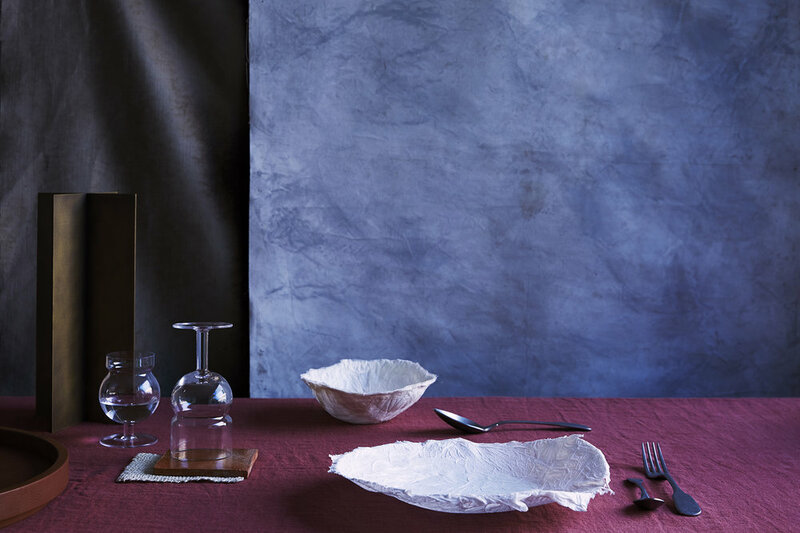 Linen napkins from Hale Mercantile Co.
Paired with many of my own ceramics collection.